Gun nuts are persistent, and nobody is leaving me in peace about the Purdey, so ONE more post, mostly a reply to my old Canadian friend "Lucas Machias". 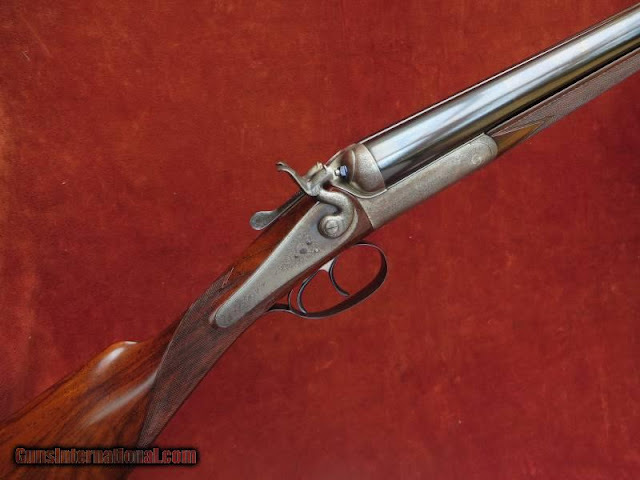 I also owned Lord Dunraven's 16 bore Woodward, which sounds better than it was- an utterly clapped out gun that the late Bill Smiley bought for $600 in Phoenix, with a soft oil- soaked 13 inch DOWN pitched stock with a vented pad and a white line spacer, and 26" sleeved barrels. I couldn't hit the ground, or a barn if I were inside, with it; Terry Weiland wrote a piece about a dove hunt at Bill's in the month after 9- 11 with it, in Gray's, and graciously credits me with more birds than I shot. He, with I think his custom Arrieta, and Bill with his "modern" Beasley patent hammerless self- opener Purdey (made in 1912), shot the most, and the late Armand Romano, a retired Brooklyn Homicide detective, shooting a custom Model 12 pump 20 with beautiful dark wood, told Bill's wife Linda he had shot them all. The cheapest quote I could get on restocking was $3000; the cheapest on rebarreling was 12,000 POUNDS, and Purdey refused to do it, saying the gun was not worth the barrels. The guy who had it after me, buying it for 3000 from Glenn Baker (who subsequently sold me my lovely .410) spent TWENTY SEVEN THOUSAND DOLLARS restoring it. It is beautiful, but since this is more than I paid for my house and most expensive car together (I know, I live in a poor rural community), I think that is beyond my pay grade. 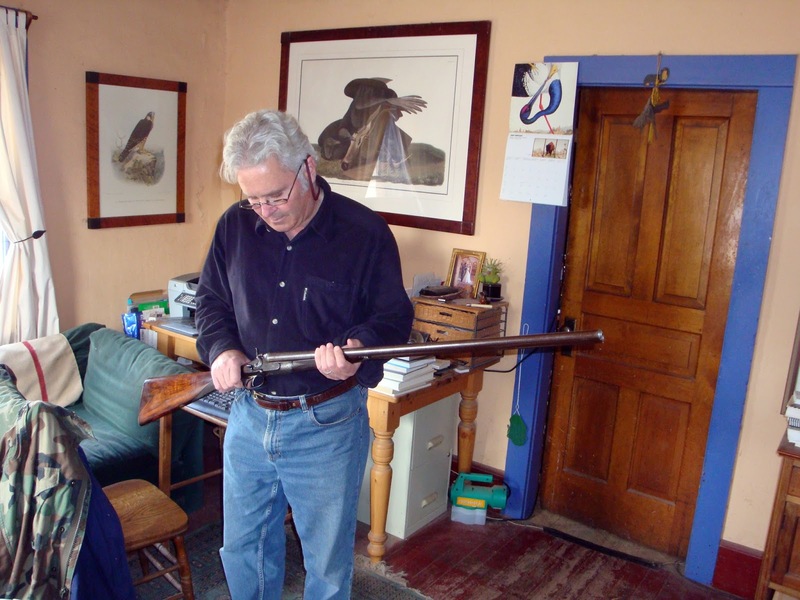 I also owned a graceful Holland and Holland "Dominion" back action sidelock 16 that was often in the shop, which I sold to help pay Jackson's St John's tuition one year-- no regrets. I have no time to blog right now, but knowing all about gun mania will do this ONE post on the Purdey and related matters. Then NO MORE TIL AFTER THE PARTY! And it is "Purdey" - thanks for the photos and stories. Really gorgeous. A pretty Purdey, for sure. Great news on your new acquisition! You deserve it! And, I will get to enjoy it, vicariously, through your blog posts. Enjoy!